If a leaked document from the Chinese site Cnbeta holds true, within a couple of years consumer cameras could see a significant bump in quality and low light performance. The leak describes a Sony image sensor that uses a completely new way of gathering light called Active Pixel Color Sampling. 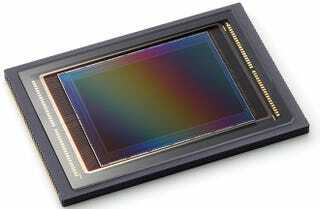 This new APCS sensor (not to be confused with APS-C, a common sensor size), will supposedly be one or 1.5 inches in size, with 4.85 megapixels of resolution. That sounds very low compared to most current megapixel counts, but depending on how you interpret the information, that number could actually yield much larger resolution images. While current digital sensors devote three distinct photo-sites to sample Red, Green, and Blue colors, APCS sensors can sample all three colors in one pixel thanks to an electronic filter that moves across the sensor. This has a number of implications thanks to the sensor's ability to create an image out of fewer photo-sites. First, the data load is theoretically lower, meaning faster processing and greater potential for the sensor to produce higher frame rates. In fact, the leaked document mentions the sensors supporting 2K video at 16,000 fps (!). Second, the pixels can be larger, meaning much better low light performance. Third, there is now room on the sensor to incorporate a global shutter system, which for video users means no more jello distortion when moving the camera quickly from side to side. We don't yet know which products are planning on incorporating the new APCS sensors. Some are speculating that it is slated for future Xperia smartphones, while others believe that the 1.5 inch size (roughly that of micro four thirds), means it will appear in high-end compact cameras. It's also important to remember that Sony sensors are actually used by other camera manufacturers, so we could very well end up seeing this tech trickle into offerings from other brands.